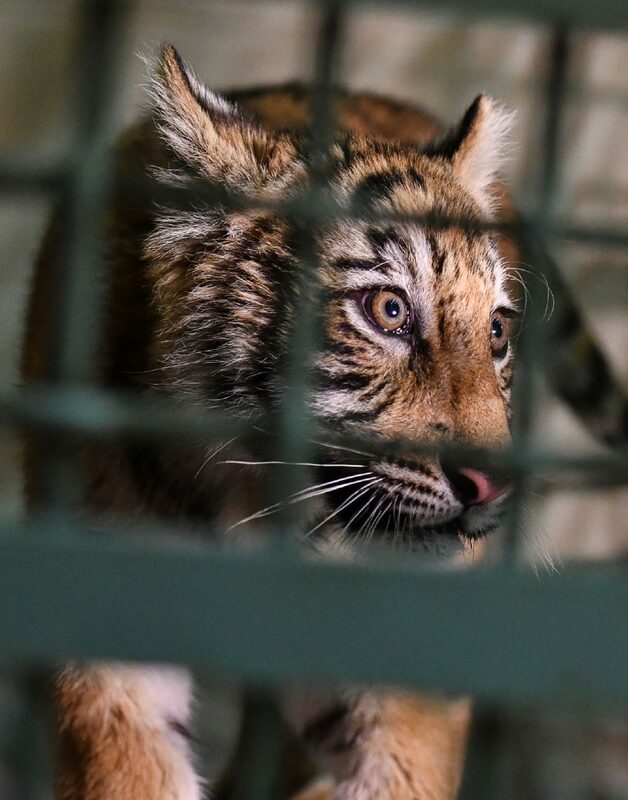 The cat’s out of the bag and recovering safely at Gladys Porter Zoo after Border Patrol agents recovered a tiger cub abandoned by smugglers near the border fence in Brownsville. 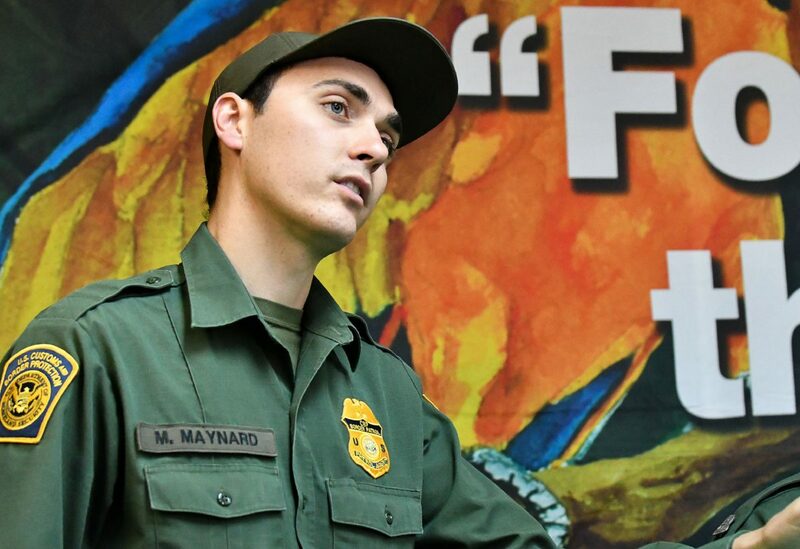 Border Patrol Agent Marshall Maynard discovered the 2-month-old tiger cub motionless in a black duffel bag Monday after responding when three people who crossed the Rio Grande abandoned the animal and fled back to Mexico before the federal agents could close in on their location. Maynard said he expected to find drugs in the black duffel bag. 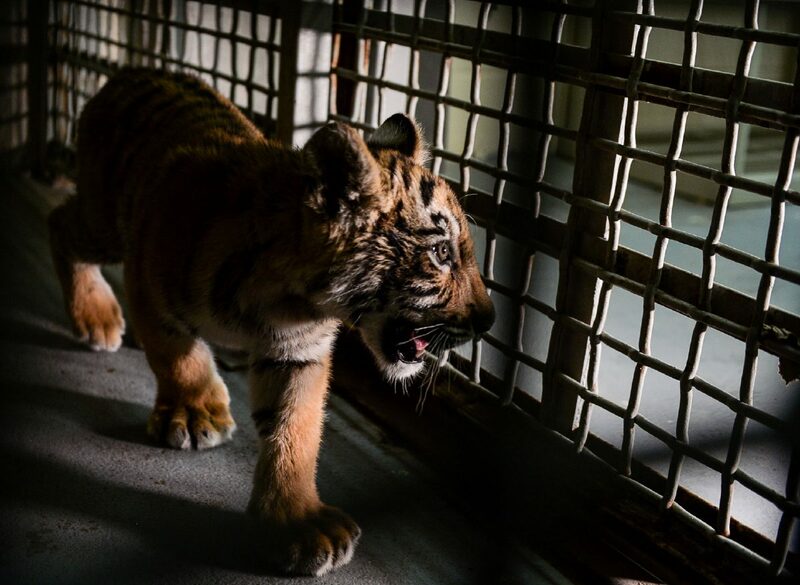 Maynard said he immediately radioed his colleagues to let them know he found a tiger cub, which was sedated. 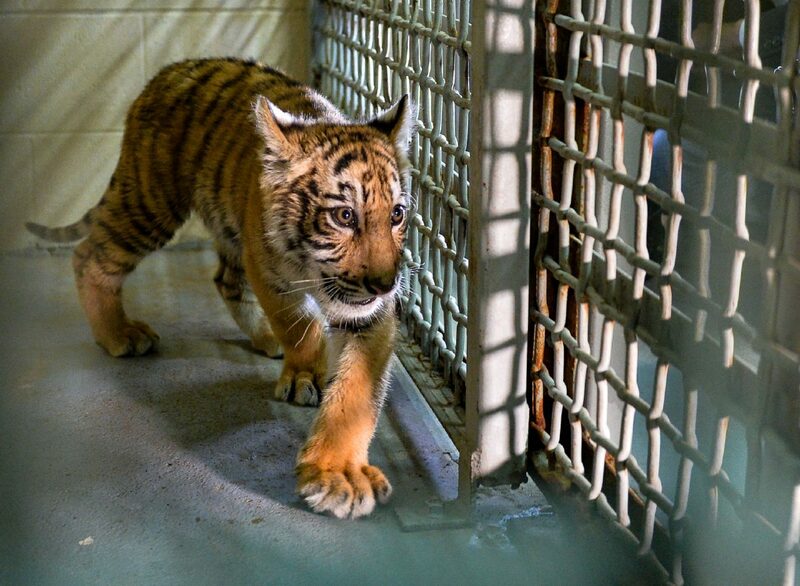 On Tuesday afternoon, the cub energetically paced back and forth in its holding cell at Gladys Porter Zoo’s hospital facility. 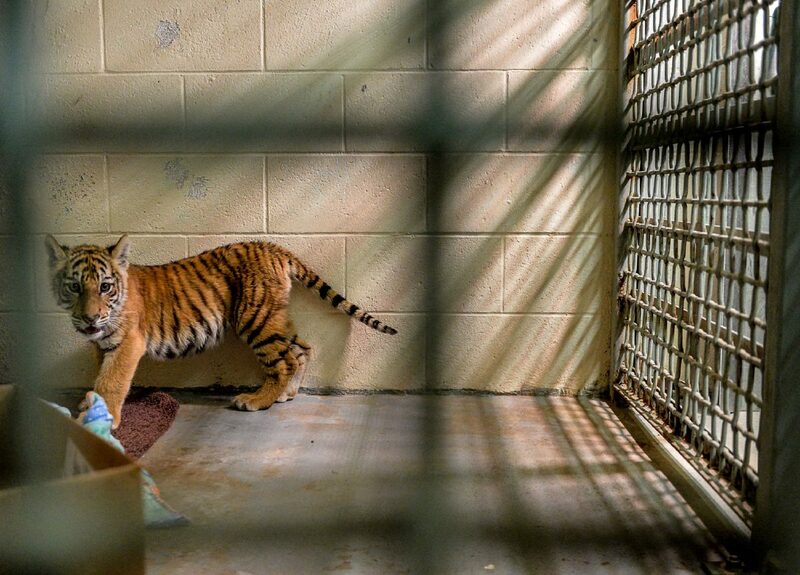 A red toy sat near a blue blanket on which the tiger slept the night before.